Silver Spray II also ventured out for the Poole Bay Cod Comp with ten keen anglers aboard, Skipper Sam being one of them. I decided to push out into some tide and sit it out for a bigger fish for the day. What followed was quite the opposite with 7 cod coming to the net throughout the day! !This is the most winter cod i've aboard in one day as a Skipper. Unfortunatley despite catching so many cod we were lacking in size with the biggest being 11lb 4oz for Mark palmer.None the less a cracking day had by all involved. 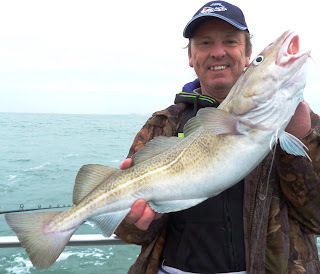 The 2011 Poole Open Cod comp, organsied by Andy Robbins from Poole Sea Angling Centre, looked in doubt from the weather but luckily there was a window of light westerlies and we enjoyed a good day afloat. 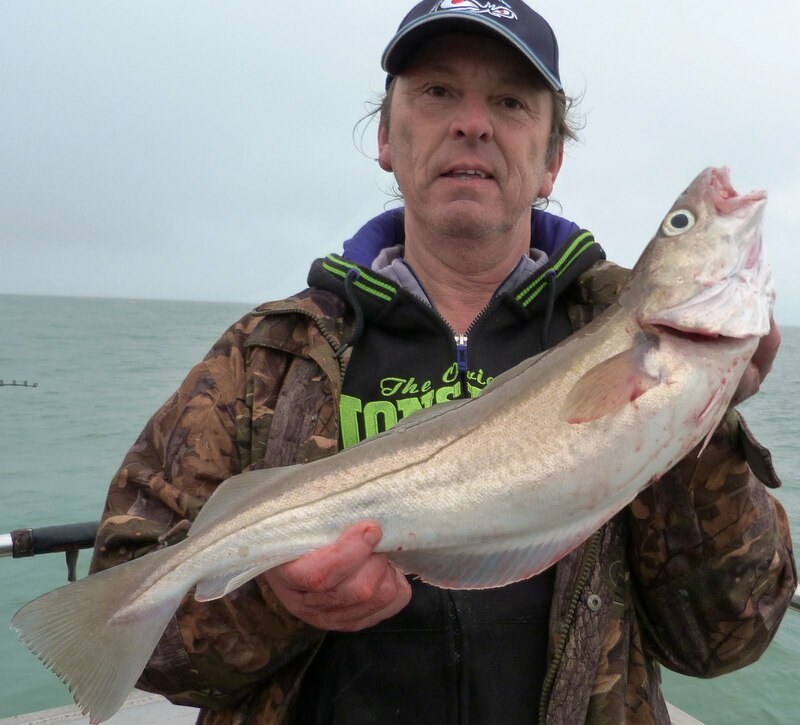 What looked like a big cod was dropped in the first hour and we had mixed luck when the next fish up was a 21lber for Shaun Miller who unfortunatley had declined to sign up for the comp. 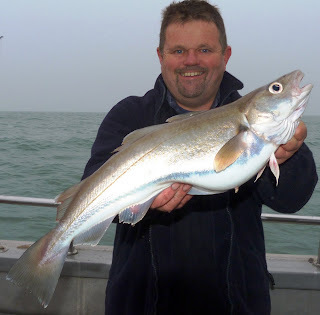 Two more cod of 10 and 8lb which were in the comp but not weighed in were topped up with the best run of whiting of 2011 including a personal best of 4lb 4oz for skipper Andy. Wind over tide coditions didnt put the fish off today with 2 nice cod and a bonus 10lb 4oz bass for Ian Webb. One more trip[ left and then its a couple days break for Christmas. With the wind in the northwest we have been able to get back on track and take Silver Spray II to sea for the first time.All the anglers and skipper are very pleased with her performance. 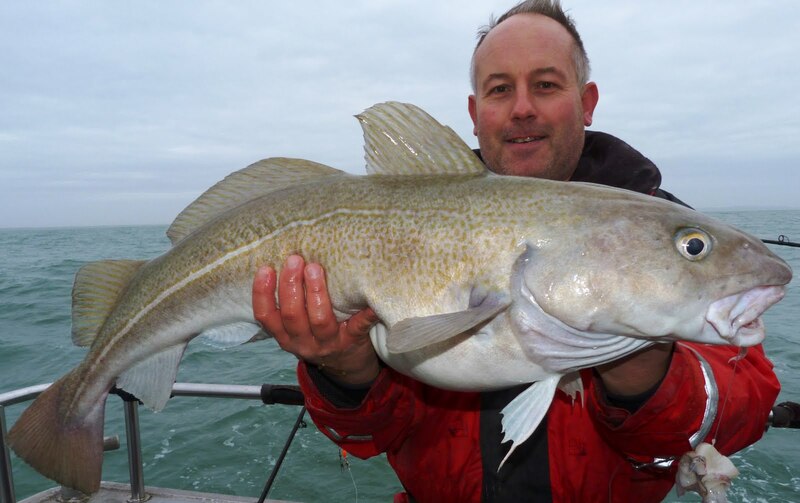 The first fish to grace her landing net was Alex Miles 20lb cod, one of two he had that day. Looking fotrward to many more successful trips aboard our new boat!! Finally we are able to get out two days on the trot again but the winds don't quite let up with a stiff northwesterly both days.Sunday seemed to fish the better of the two with congers, plenty of whiting, 2 cod, a 12lb spurdog and a bonus 8.5lb bass for the skipper. A good day had by all, can't wait to get out there and try again. 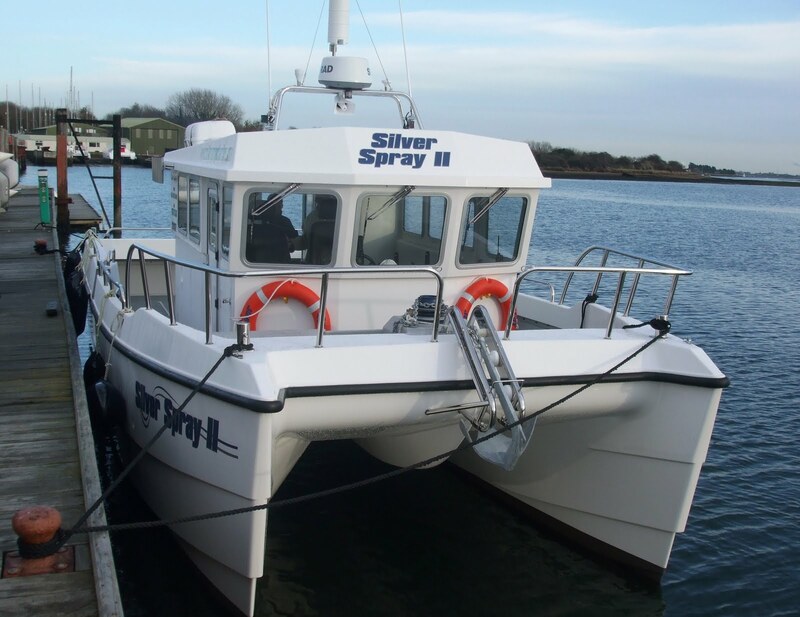 Our new boat Silver Spray ll was launched last week. She has completed sea trials and will be moved to Poole on Tuesday. Showing an impressive turn of speed and featuring a walk round wheelhouse for more fishing space we feel she will be a great boat for angling. Our existing boat Silver Spray is still around and will be used for two boat trips over the Christmas period. 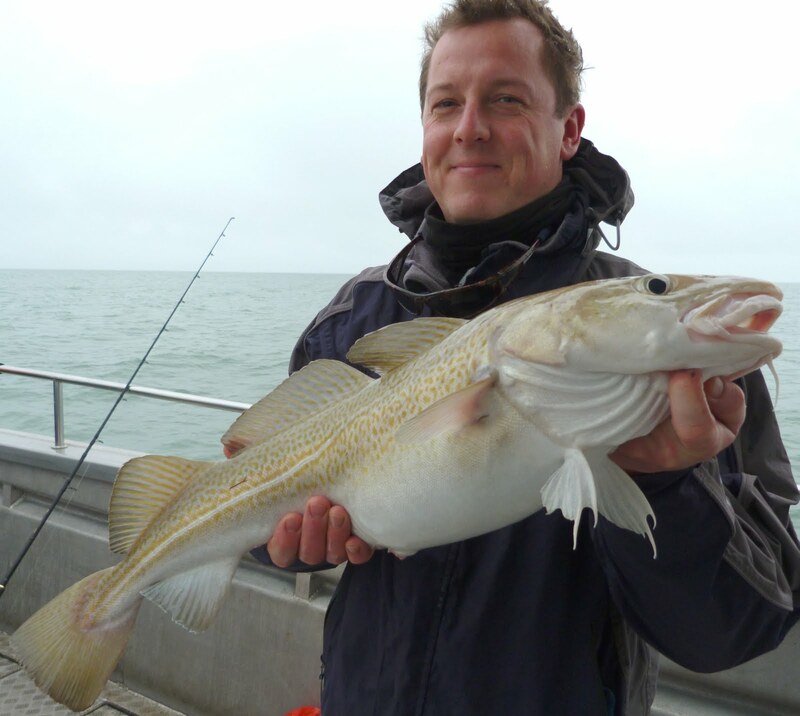 We are planning to use her for a mixture of survey work and angling trips in 2012. If you need a 2 baot charter please give us a call.